Carefree living awaits in this 55+ ACTIVE community of Cortez Villas Condominiums. This spacious 2 bedroom/1 bathroom 1,044 sq. ft. villa style condominium features a new AC unit, brand new carpeting and flooring, renovated shower, new dishwasher and garbage disposal and a bonus room with wall-to-wall closet. In addition to the great room, there is eating space in the kitchen with sliders that extend to an enclosed lanai. The community calendar is full of events and activities making it easy to socialize. Enjoy the heated community pool, billiard and card room, shuffleboard courts, community library, potluck dinners all included in your low monthly fees along with basic cable, water/sewer, trash removal, and grounds maintenance. 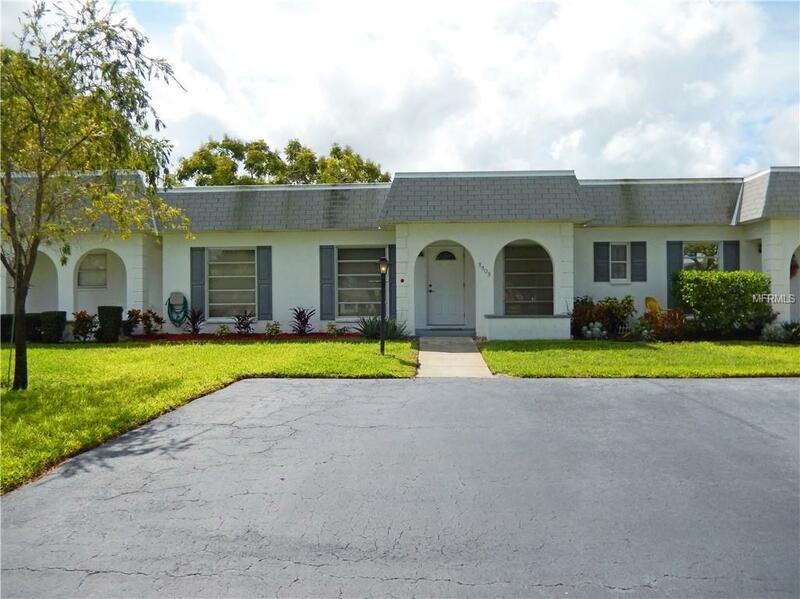 Conveniently located close to shopping, dining, churches, public golf, and medical facilities. Just minutes away from natural walking trails at GT Bray Park and captivating sunsets of the famous soft-sand beaches of Anna Maria Island. Call for a personal showing today! Listing provided courtesy of Marcus & Company Realty.